One of the perks of being a journalist is the receipt of good books for review purposes. 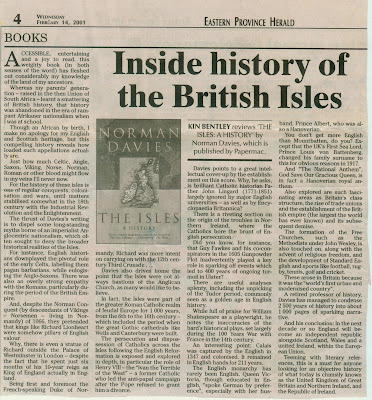 In 2001 I was able to make up somewhat for my apartheid-era education by learning a bit about about the land of my ancestors in a book on British history. 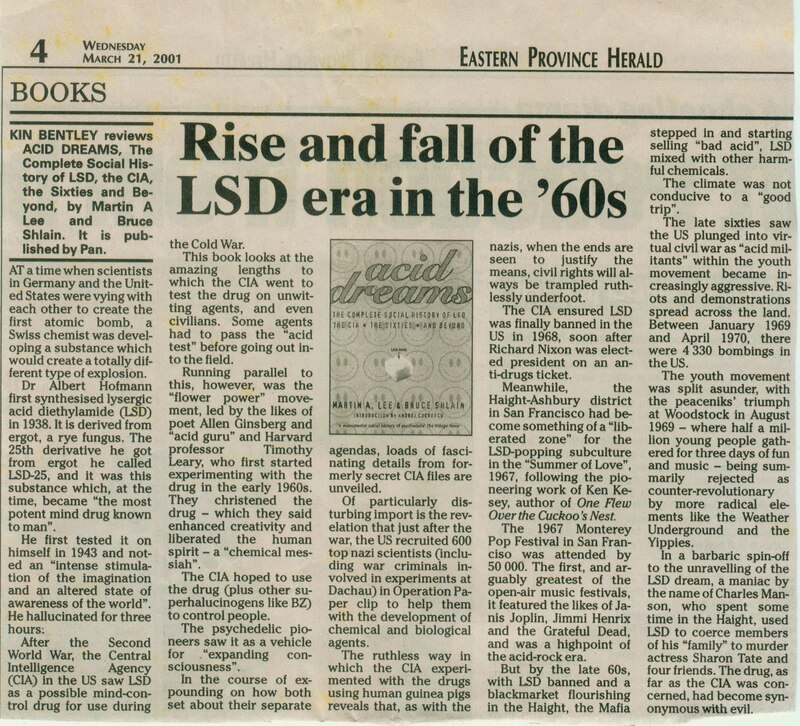 Then there was an education of another kind - about the history of LSD. 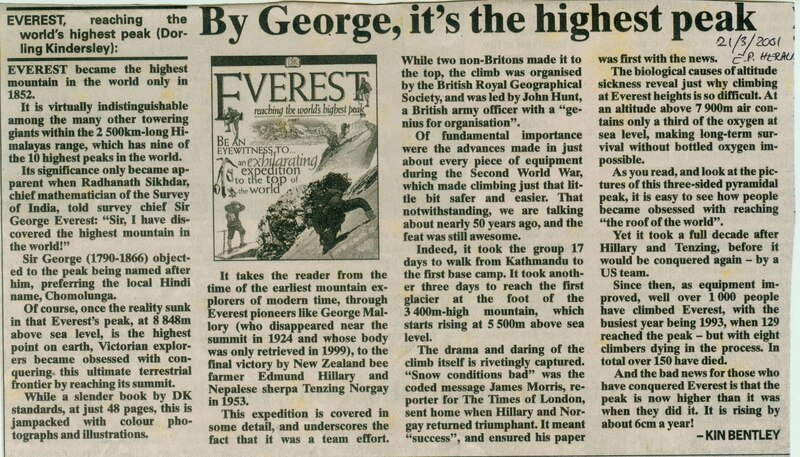 My children enjoyed the Dorling Kindersley books, and I was fortunate to review one about the scaling of Mount Everest. 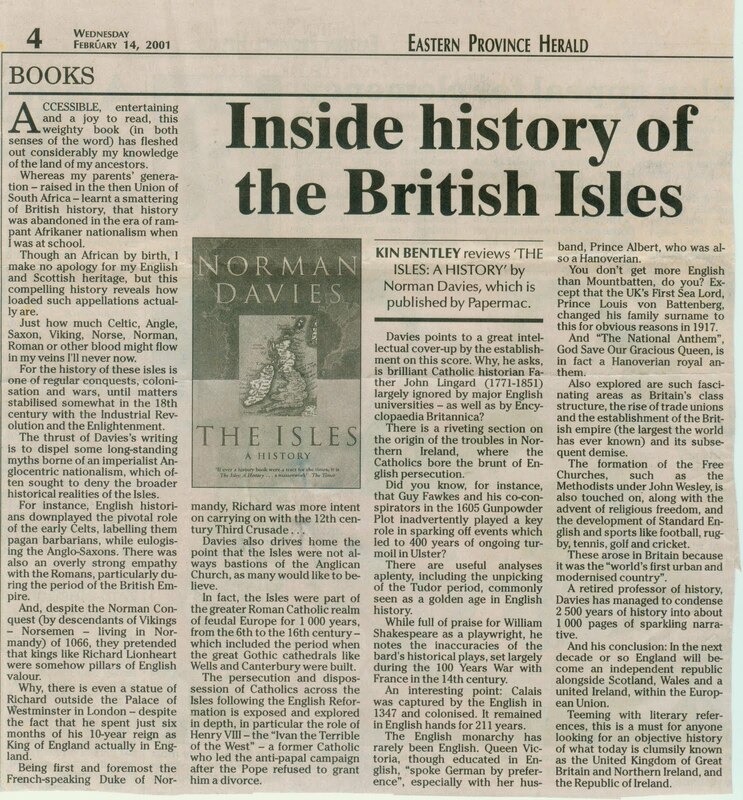 My review of Norman Davies' The Isles. Please click on the text to see it larger. Click again to see it larger still. 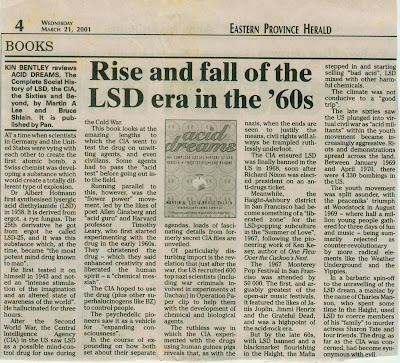 Though I grew up in the 1960s, I am happy to say I never experimented with LSD. But this book did give me a great insight into its origins and some of the most famous people who used it. The misspelling of Jimi Hendrix's name does no one any credit, neither writer nor sub-editor. 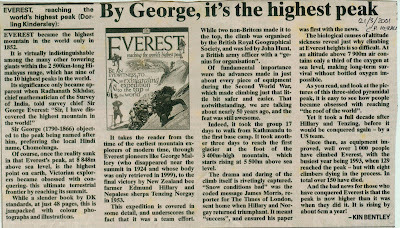 The facts and figures about Everest also made fascinating reading.